He used his “I’m just teasing you” voice, but I think there was some truth behind his “just kidding” dismay of seeing the orange sock again. Because I was getting kind of sick of seeing the same sock every day, too. So even though last night I started knitting the second sock to the pair, I decided not to take a photo of that for today’s blog entry. 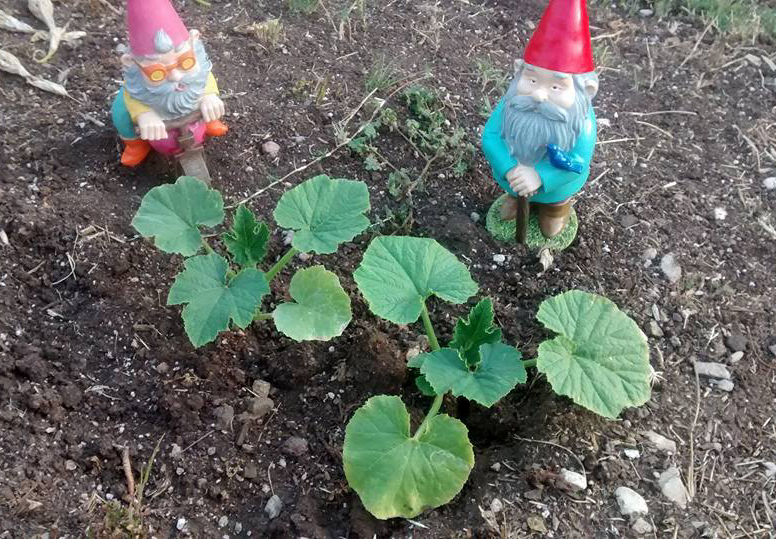 Instead, this evening I took a photo of what my pumpkin seedlings look like now. They’re the ones I wrote about in this post. Halloween is still a few months away, but I think we’re on track for some nice fat orange pumpkins by then. Categories: Adventures with Sean | Tags: Morro Bay, pumpkins, Sean | Permalink.